You are currently browsing the archives for the tag 'idealist even skintone illuminator'. Last week, I went to the presentation of the 15th annabelle Prix de Beauté which was held at the Dolder Grand in Zurich. The presentation could be best described as the “Swiss Beauty Oscars”. I felt very honoured because I was asked to be in the jury. 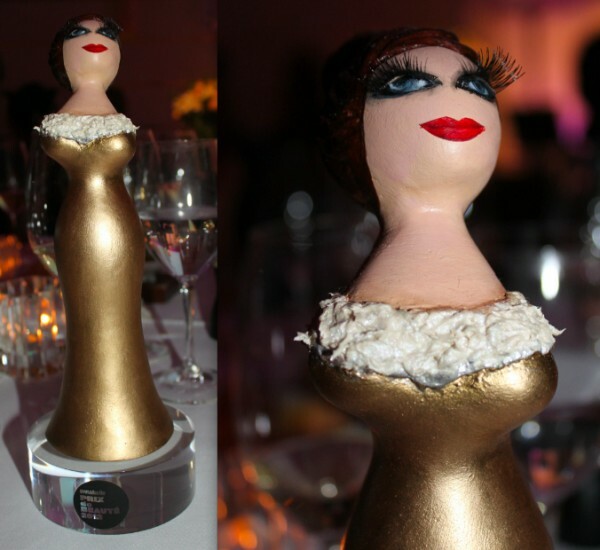 The highly coveted “Anna” trophy. My task? Test 100 beauty products in the category facial care. No problem at all! 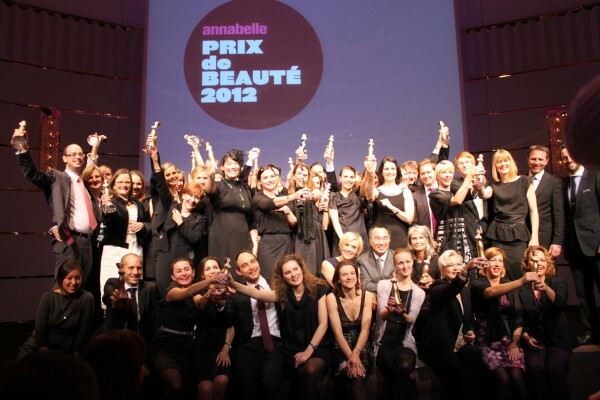 For my Swiss based readers: All the winners of the different categories will be published in the annabelle 04-2012 magazine which will be available starting February 22, 2012. From March 2-17, 2012 all the awarded products will be displayed at Manor in Zurich. Some of the winners were already featured on Sandra’s Closet such as the Diorskin Forever Foundation or the Idealist Even Skintone Illuminator by Estée Lauder. Below you can see what I wore to the event. I hope that you will like it. My look: Bouclé-tweed mini dress by Alexander McQueen (40% off on sale), lace-appliquéd mesh knee boots by Valentino (70% off on sale), pearl necklace by Lanvin, lace-print bag by Prada (from a previous season) and Lady Exalibur watch by Roger Dubuis. Last week, I went to the Estée Lauder press conference to explore their newest products which is always a lot of fun. Here are my personal favourites that are in stores now. Below you can also find more information on them. Estée Lauder’s slogan is „Every woman can be beautiful“ and this sounds pretty promising, don’t you think? Resilience Lift Instant Action Lift Treatment instantly gives you a tightening and firming sensation of a mini-lift, wherever and whenever you need it. This fast-acting treatment with CustomSculpt Technology™ precisely targets and plumps areas most prone to sagging for a more lifted, firmer, sculpted look. It helps skin boost its natural collagen and elastin production over time so you’ll look as young as you feel. You can use it in the morning and evening, plus throughout the day as desired. Can be applied over makeup. The results can be seen immediately. 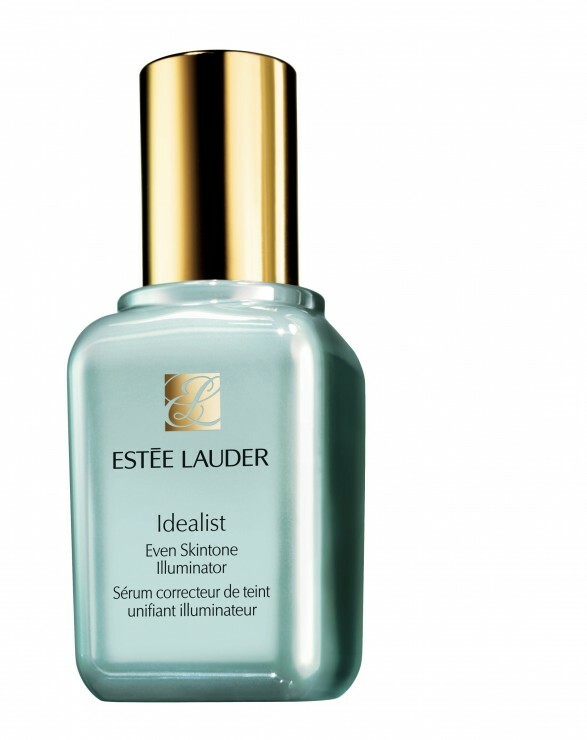 Idealist Even Skin Tone Illuminator dramatically reduces the look of uneven skintones and works for all skin colours. No more redness, acne marks, dark spots, sun spots and discolorations. I have used the oil-free serum now for only five days and my skin feels already radiant and more fresh. The anti-oxidants in the product also help prevent its re-appearance. Apply on clean skin, preferably after Advanced Night Repair. For maximum even skintone results, use morning and evening for the first 12 weeks, then continue with your regular regimen, using it only in the morning. Estee Lauder’s new fall makeup collection is called Modern Mercury and was created by their Creative Makeup Director Tom Pecheux. His inspiration for the texturally graphic collection came from the reflections found in modern avant-garde architecture. He liked that the buildings never look the same colour because their glass facades reflect what surrounds them. Tom Pecheux debuted pieces from the collection at the Derek Lam Fall 2011 show, for the photos and application, please click here. 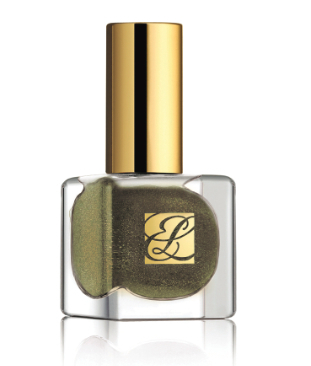 Pure Colour Eyeshadow Duo in Modern Mercury (Limited Edition) works perfect for a smokey look during the day. CHF 50 Matte lips are so chic at the moment and this rich red is the perfect tone to go. 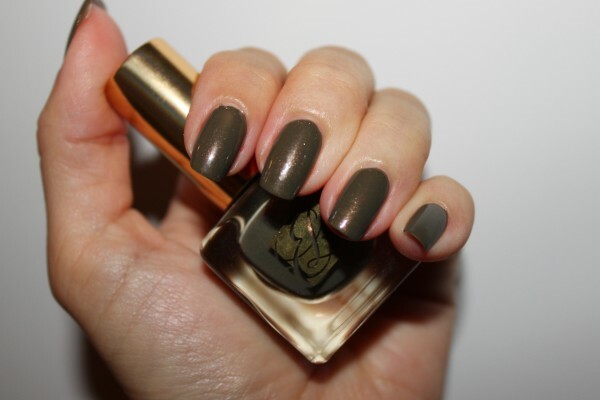 Give your look an unexpected twist with sage green coloured nails.